THIS may appear to be a simple plan to make some extra money from visitors passing through your area but you need to think seriously about what it entails. Certainly if you are thinking of signing up with one of the label schemes such as Gîtes de France, Clévacances, or Fleur du Soleil — the leading three — then you may be looking at what approaches a full-time job. Answering the phone, keeping the diary and accounts, cleaning rooms and doing DIY, making beds and breakfasts ... plus meeting guests and finding time for your own life. It all adds up but can be worthwhile if you enjoy meeting people. Gîtes de France says a two-bedroom chambre d’hôtes will average an annual turnover of €18,590 and that many make several times that. The advantages of joining a label are that you get advice from local people who know the typical problems and the best way to set up your business (probably as a micro-entrepreneur, the successor to the auto-entrepreneur scheme); how to make your mairie declaration or pay your taxes; and they may offer cheaper insurance. Labels will also keep you up to date on legal and other changes (such as new holiday trends) and they may offer legal services as well as customer relations advice. They have a website to make you visible — as well as the sign for outside your house — and they handle reservations and accounts. The downside is they have their own rules and costs. If you choose not to join there is no ‘star’ classification for your B&B, so nothing to convince visitors of your worth other than word of mouth and your advertising. The Code du Tourisme says B&Bs will offer a ‘welcome by the host and not a third party,’ a set price for bed and breakfast, linen and towels. They are also limited by law to no more than five bedrooms and 15 guests. Owners must also fill in the form Cerfa N° 13566*01 and declare their activity at their mairie. 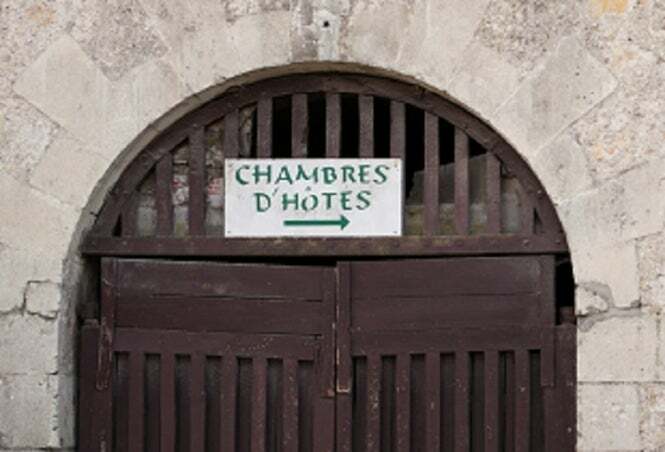 This will add their names to the list the mairie gives to visitors – and which also gives details of what other B&Bs are charging! There may also be a taxe de séjour to be levied on visitors and paid to the commune. Even if owners do not join a label, if registered at the mairie they may apply for accreditation from the local tourist board – and join their electronic booking service which may be better than taking calls at all hours. For Gîtes de France you are looking at an average €250 joining fee plus €250 a year for membership (this varies depending on your B&B and where you live). Clévacances will cost €160 to join and then €142 per bedroom and less for more than two rooms. Fleurs du Soleil does not have a joining fee (but does charge €75 for its inspection visit) and membership costs €90 plus €50 per bedroom. Prospective B&B hosts will be vetted by their local label inspectors who, in the case of Gîtes de France, will set the rules over every aspect of the site and even ask to see what you will be offering guests for breakfast – and expect to see local produce. They will also give marketing advice and, as not all applicants are accepted, advice on how to reach the grade in the future.